In September 1859, the Earth was struck by an awe-inspiring coronal mass ejection (CME). Astronomers observed a brilliantly bright white flare emerging from the Sun, and auroras were seen as far south as Cuba and Jamaica. This massive solar event wreaked havoc on electrical equipment across the world; telegraph wires burned off their poles, streams of fire poured forth from electrical circuits, and telegraph lines remained operative even with the batteries disconnected. Today, electronics are more prevalent than they were in 1859 by many orders of magnitude. Almost every home in the developed world is connected to an electrical grid, billions of people rely on satellites for communication, and vital supply lines depend on electricity to operate. 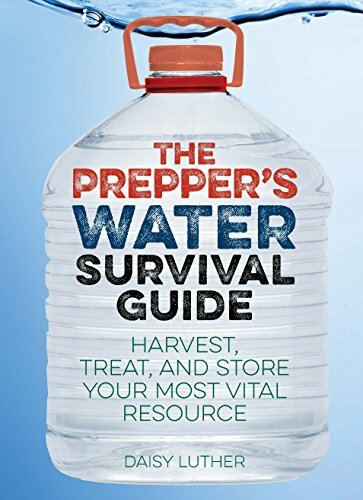 It’s been estimated that an EMP attack on the United States would utterly obliterate the American energy grid and starve 90 percent of the US population. 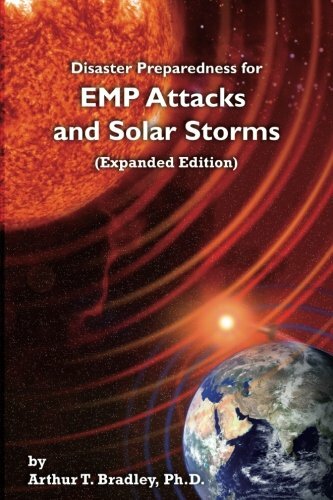 The effects of an EMP blast are similar to those of a CME, except that a powerful enough solar flare would disable the entire planet. How many of us are truly ready for such an event to occur? How would society and culture be affected in the long term if the Earth was hit by an electromagnetic blast like the solar storm that narrowly missed us in 2012? If all of our electronic conveniences were destroyed in the blink of an eye, modern civilization would be exposed to be as flimsy as a tinfoil hat. Here are ten disasters that would befall mankind if a merciless storm were to descend from the Sun. With proper warning, communications satellites can be turned off before a solar storm hits the Earth. But the first stage of a CME slams into the Earth at the speed of light, leaving little time to prepare. In this initial stage, electromagnetic radiation would block satellite signals by altering the composition of the atmosphere. With communications knocked out, it would be impossible to prepare satellites for the next stage of a solar storm. Most communications satellites wouldn’t survive the bombardment of high-speed charged particles that follows closely on the heels of the initial blast of radiation. Military forces around the world rely on satellites for communication. Millions of monetary transactions are processed by satellites every day. People in rural areas require satellites to connect to the world, and pilots use satellites to navigate airplanes. If the second stage of a CME were to knock out the global satellite communication system, it could take weeks or months to bring this network back online. But with the third stage of a solar storm already on its way, it would still be far too soon to begin planning repairs. From space, a coronal mass ejection would be strikingly beautiful. The beginning of this calamitous event would be heralded by a brilliant flash of white light. But astronauts engaged in extravehicular activities (EVAs) would have no time to take in the splendor of the moment. Caught in the inky void in nothing but their space suits, astronauts would be fried alive by the charged particles that arrive only minutes after the initial flash. If an extravehicular astronaut managed to get inside the airlock in time, they would be momentarily safe from the effects of the oncoming solar storm. Spacecraft are equipped with heavy shielding to protect their occupants from cosmic radiation, and the charged particles raining forth from the Sun would roll off the hull like raindrops. But with satellites knocked out, astronauts in space would have no way of calling home. They would be dead in the water with nothing to do but await the final onslaught. While the first two stages of a massive solar storm are bad enough, the third and final stage of a CME dwarfs its precursors in terms of sheer destructive potential. Long after the radiation and charged particles associated with a CME have already made landfall on the Earth’s electromagnetic shores, an enormous cloud of gas and plasma would still be lumbering inexorably toward us at millions of miles per hour. The atmosphere protects us from being directly affected by a CME. But all Hell would break loose on the surface of the planet upon contact of this miasma of expelled solar matter with the Earth’s magnetosphere. Power transformers would explode all over the world, instantly plunging millions into darkness. Power lines would sag and snap, and regional communications systems would fail. In the case of a powerful enough solar storm, every single electronic device in the world could be destroyed instantaneously. The planet would be without power, and masses of people who have been taught for generations to rely on electronics and depend on the system would suddenly be deprived of sustenance and direction. Copyright © 2018 Listverse Ltd.